Tis the season. 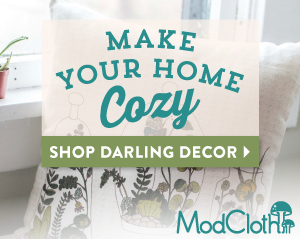 If you’re looking to save a bit of money this holiday season, or maybe you’re just into giving things with a personal, heartfelt touch, give one of these DIYs a try! 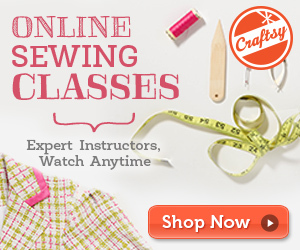 Make an adjustable loom and create unique weavings for friends and family! 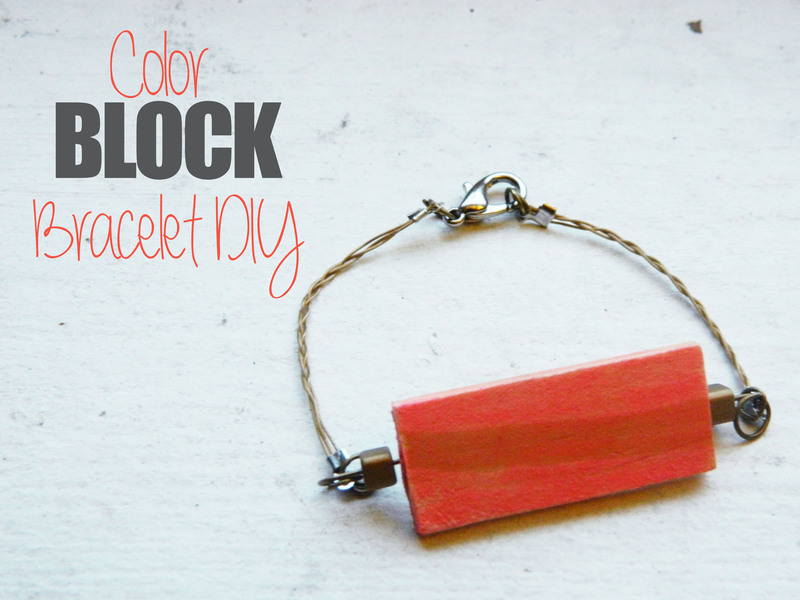 Create cute color block bracelets. Everyone could use a custom flask in their life! Any girl would love studded hair pins! Cat shirts are always a win! I hope everyone is having a great holiday season! 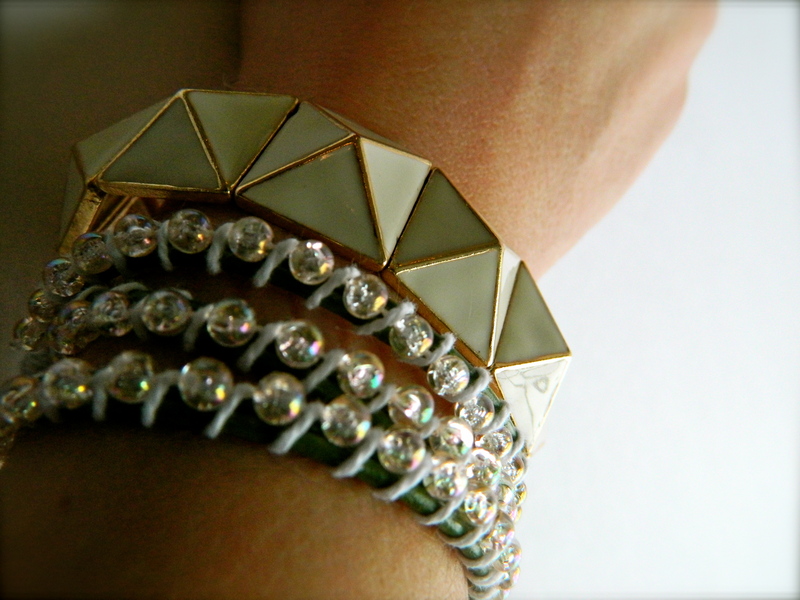 I have a jewelry DIY for you all today! I’ve been seeing a lot of geometric and color block things as of late. I’m rather fond of it all, so I wanted to create something of the sort! 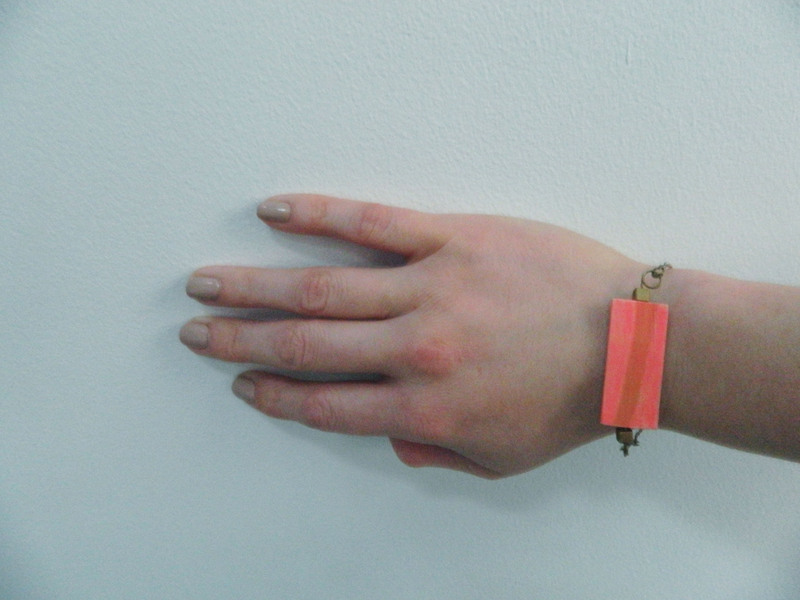 Use your paint markers to paint the wood strip. 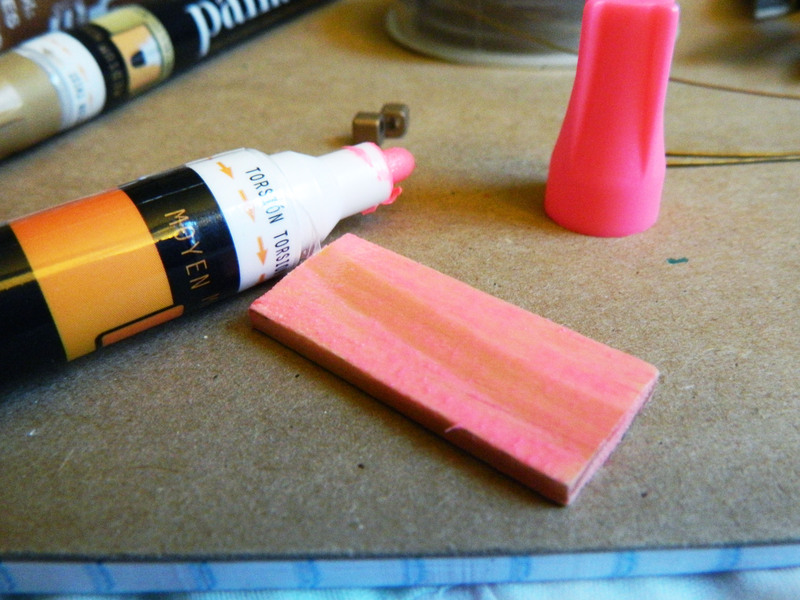 I decided to go with a bright pink for more color block pop, but I left the paint layers thin enough to show some wood grain. 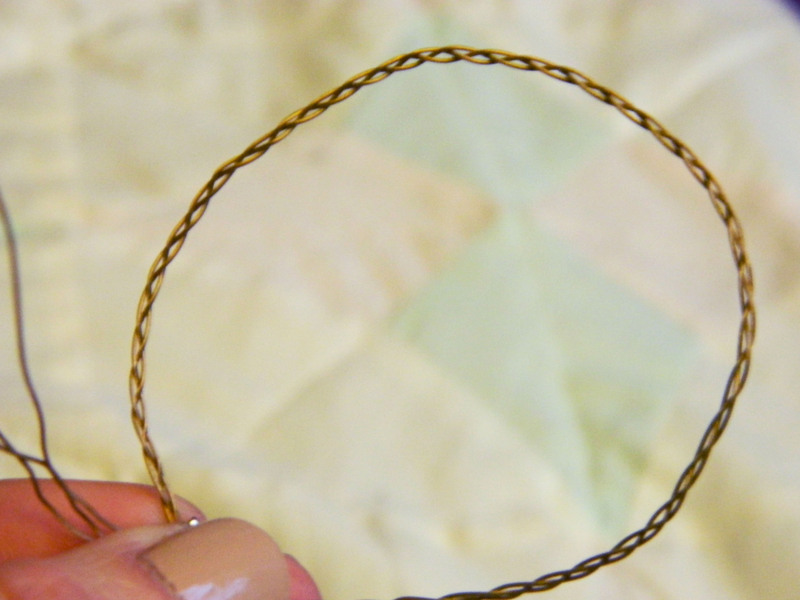 Use your jewelry wire cutters to cut three equal lengths of wire, then use your pliers and crimp to secure them together. Cut off any excess. 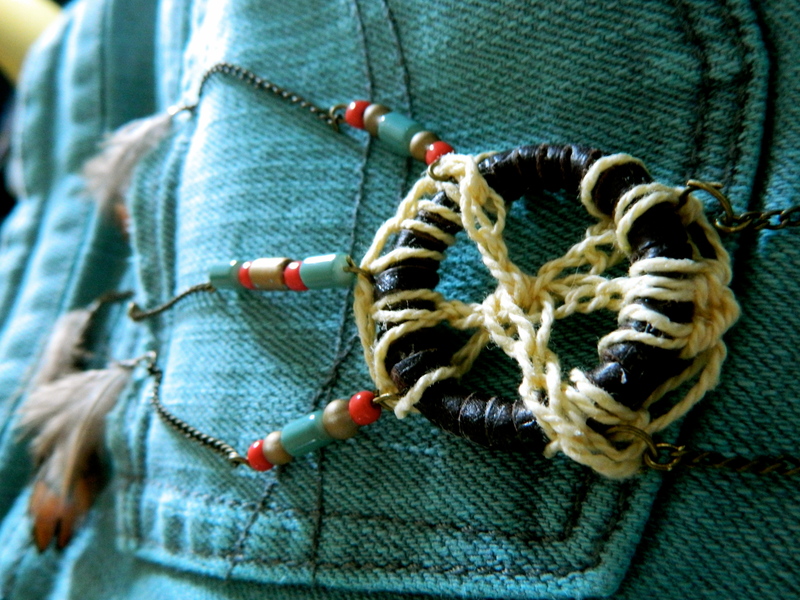 Braid the three wires together. 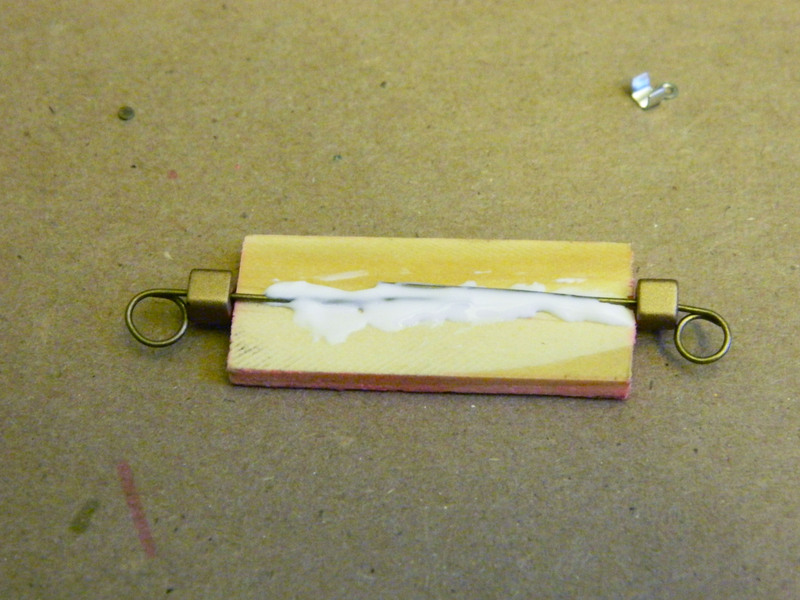 Crimp the other end together as well. 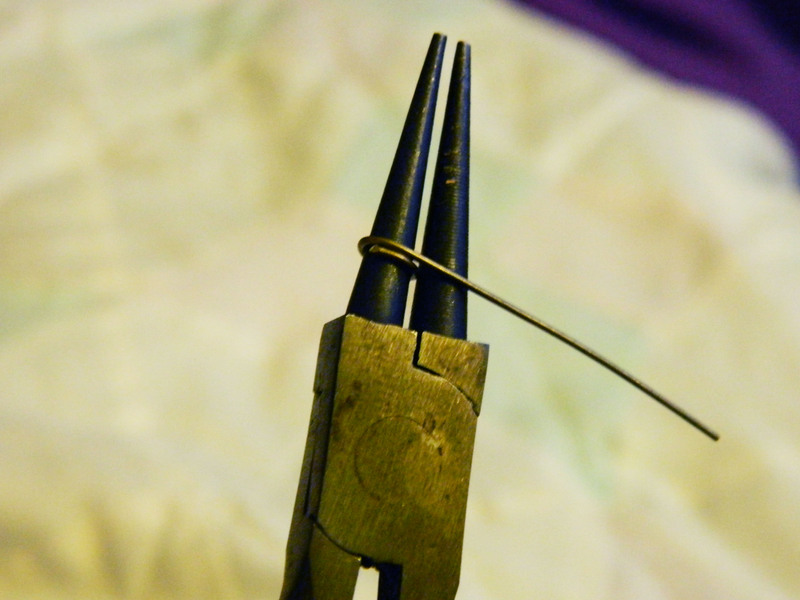 Use your round nose pliers to curl the end of two headpins into a loop. 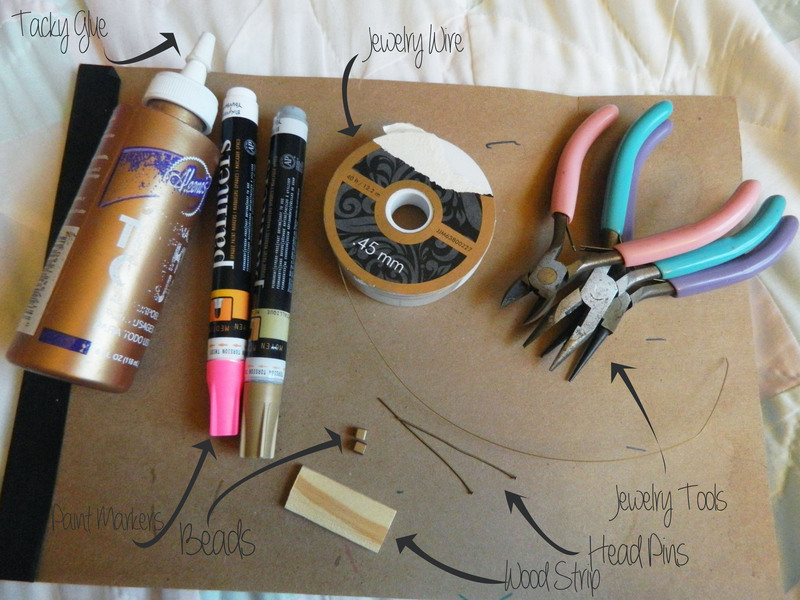 Place whatever beads you’d like (if any) on the headpins before using the tacky glue to attach them to the backside of your wood piece. Allow this to dry for a bit. 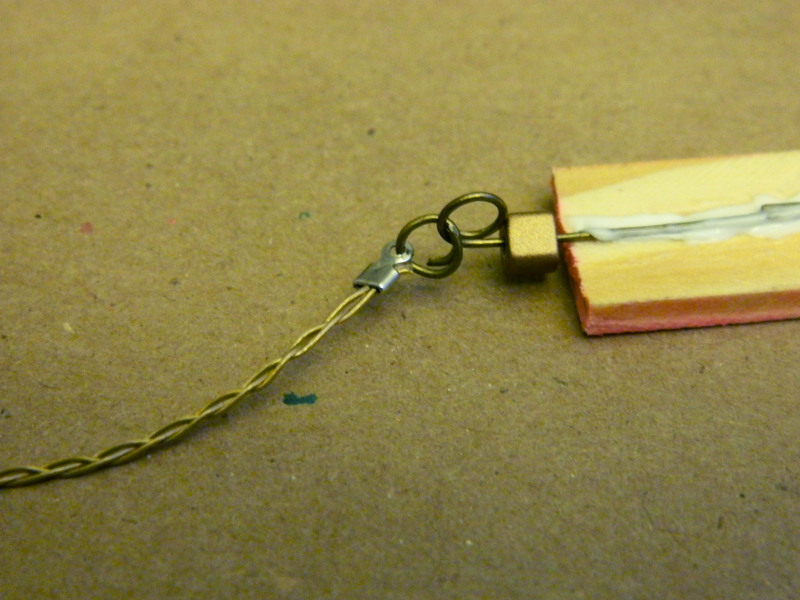 Use another head pin to create a loop and attach the wood block to the braided wire on each side. 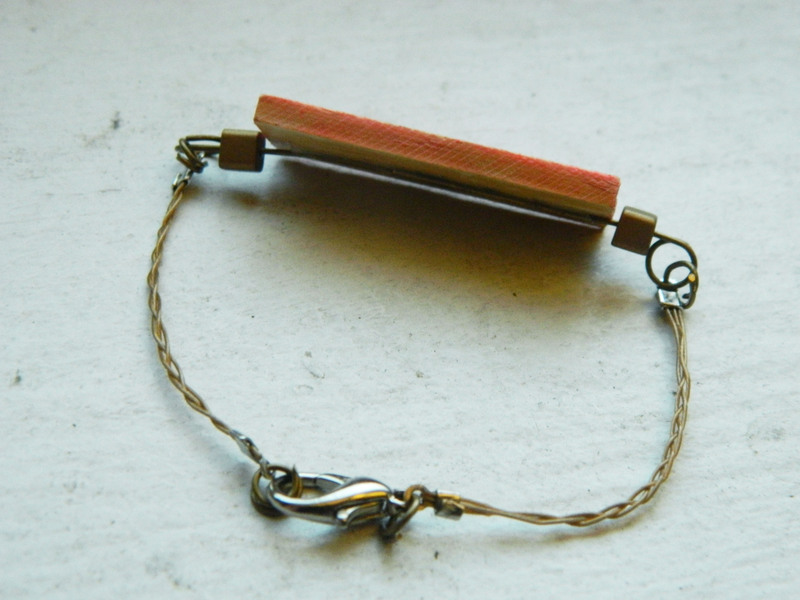 Cut the braided wire in the middle and fit it to your wrist. 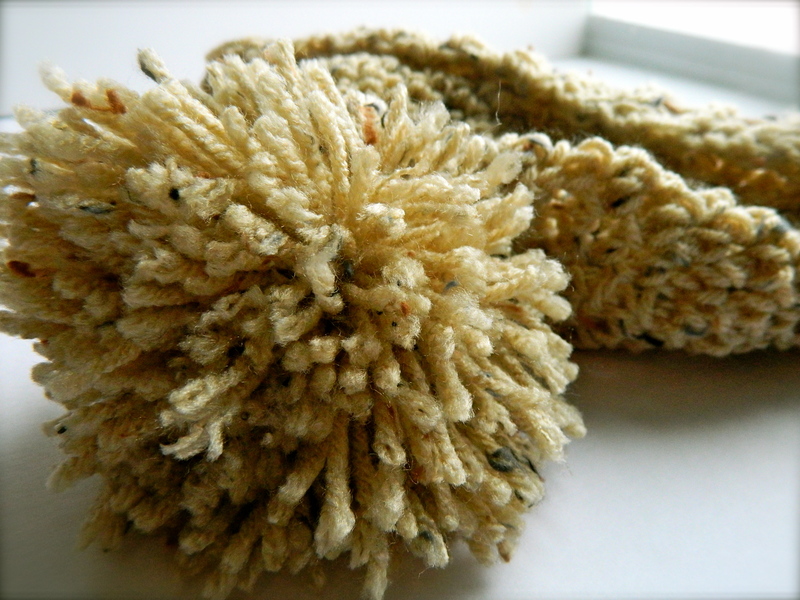 Cut off any excess and secure with crimps. 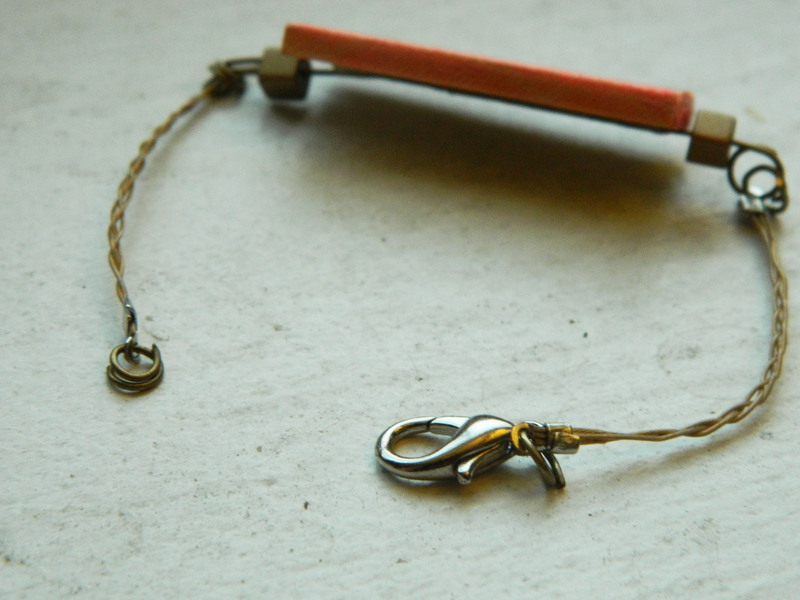 Use another headpin loop to attach a lobster clasp to the end of your braided wire. 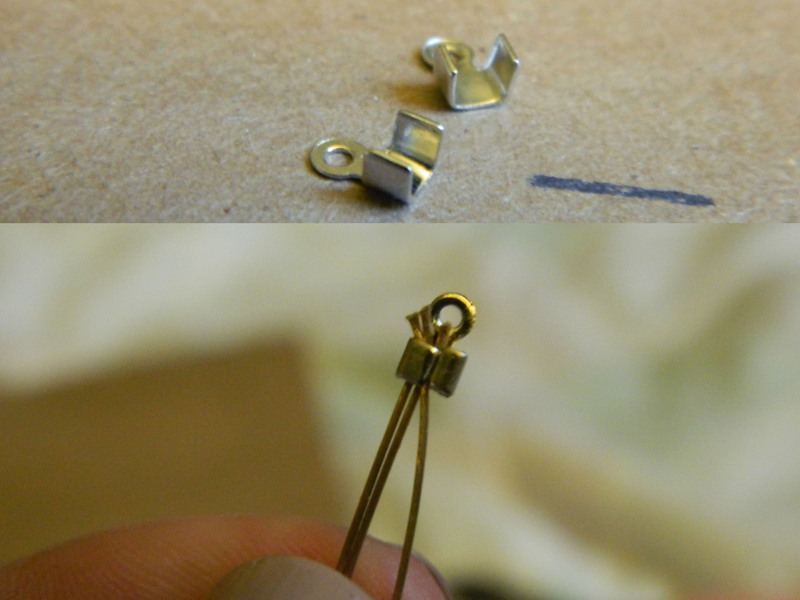 Attach yet another headpin loop to the other end for clasping to. All done! 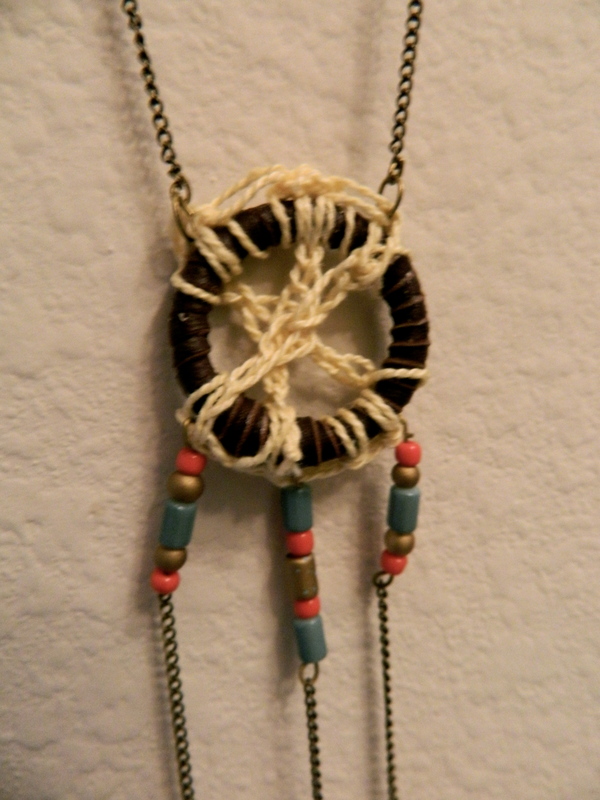 I’ve been making a lot of necklaces lately. Just for fun. 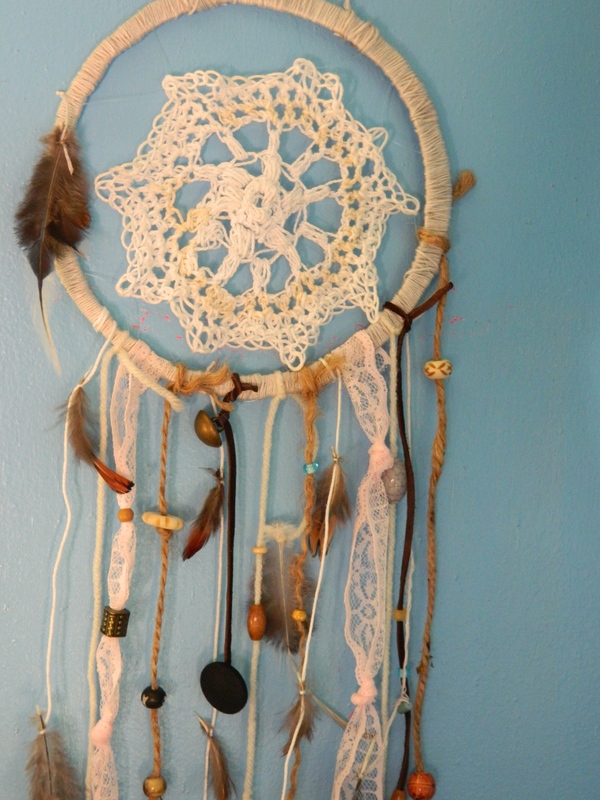 I tend to make things when I’m bored. There are three I am especially proud of that I feel the need to share with you all. 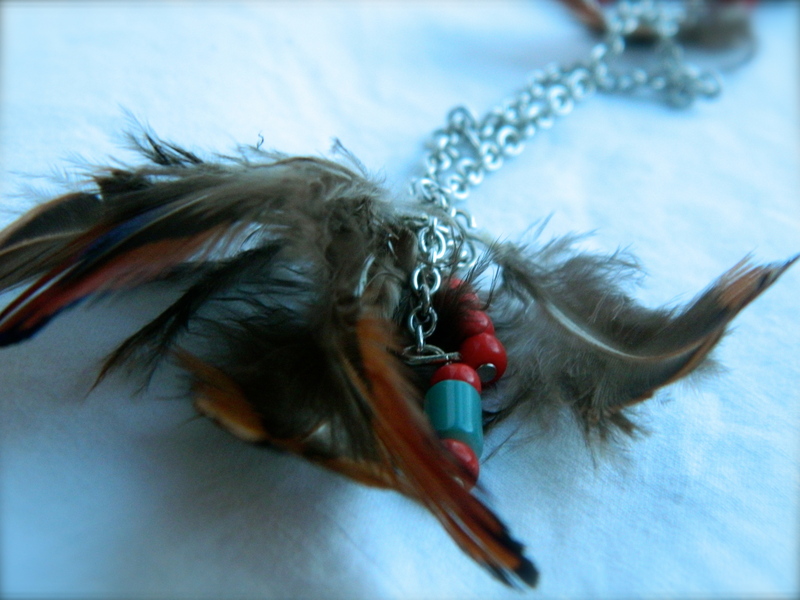 The first is a feather necklace. 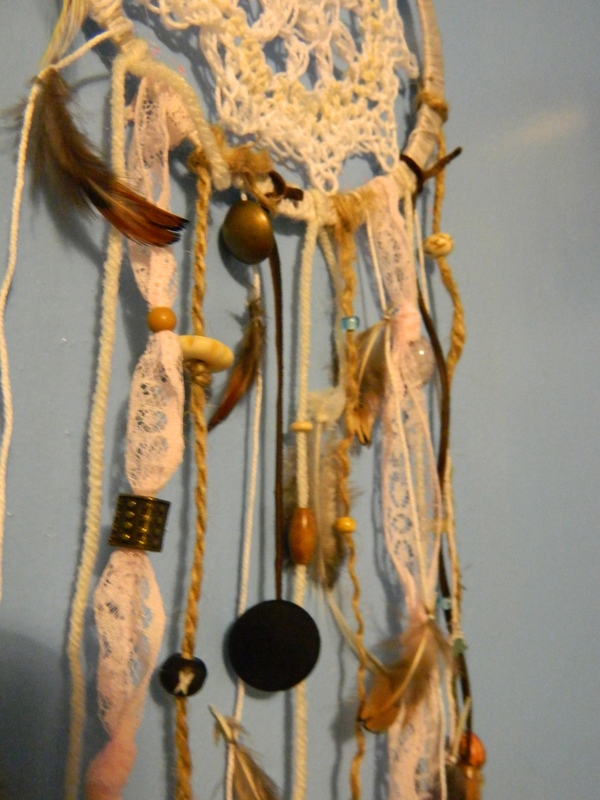 I’ve been rather obsessed with feathers as of late. 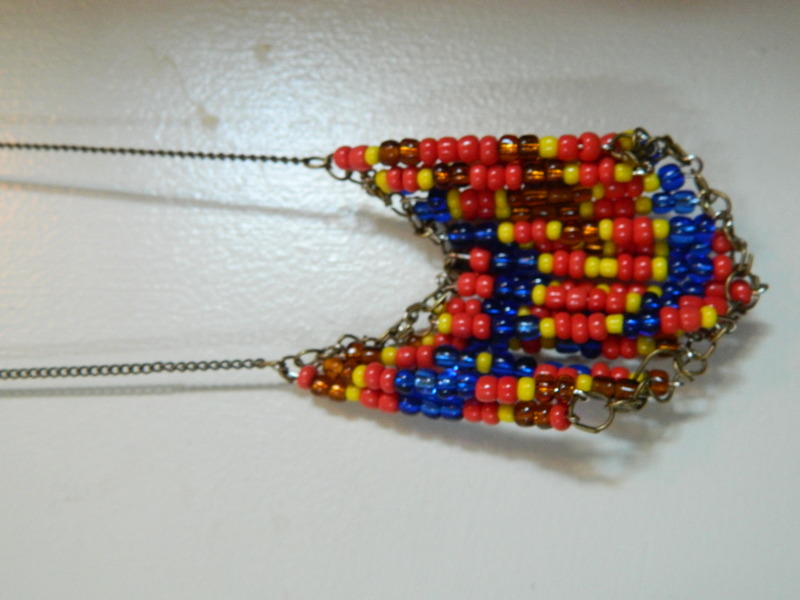 The second is a beaded bit. It took me some time to figure out how to put it together to achieve the results I was going for, but it was worth the effort and I’m pretty proud of it! 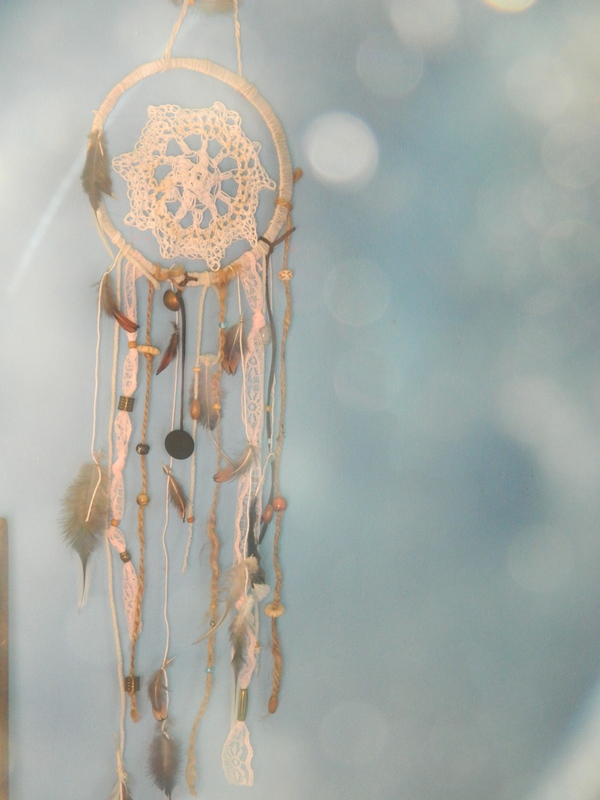 The last one is a dream catcher inspired piece. 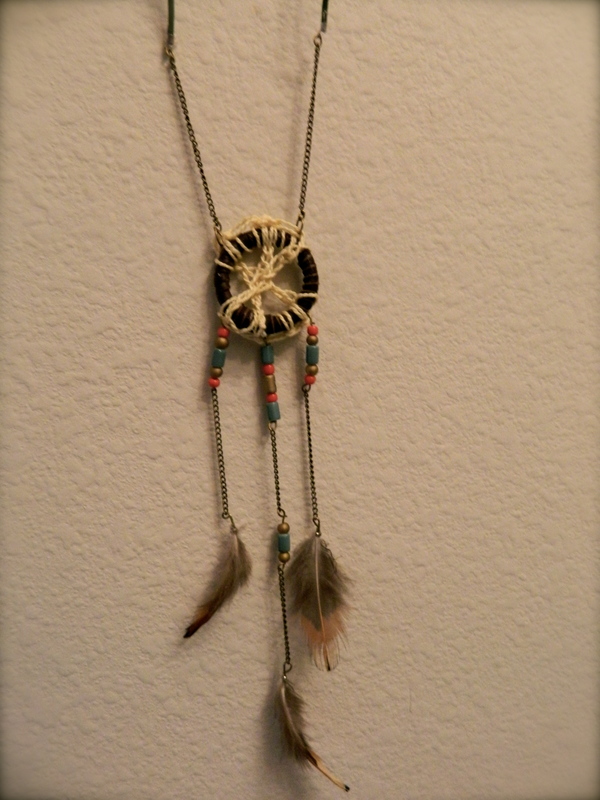 I had been seeing necklaces in this style around and really loved the way they looked.. so I made my own! 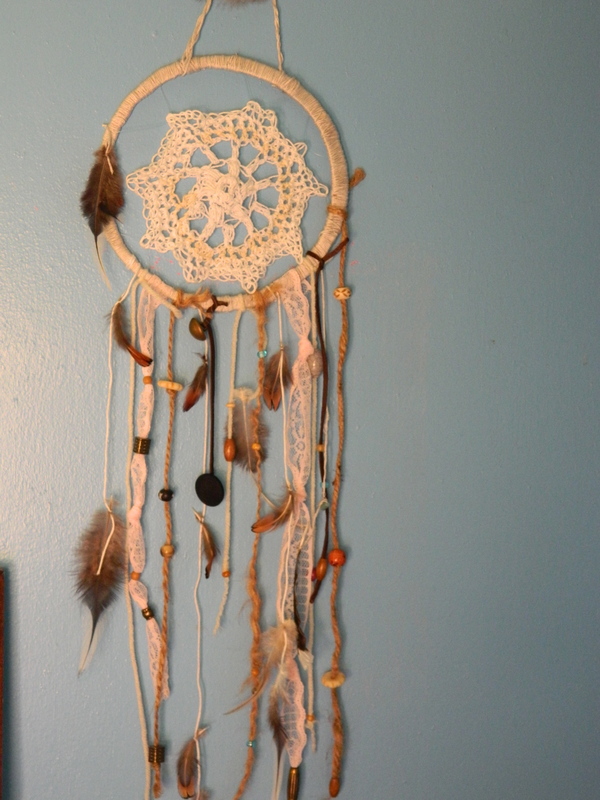 It’s also a combination of my crochet/jewelry skills because the center of the dream catcher is crocheted! Well that pretty much sums it up. 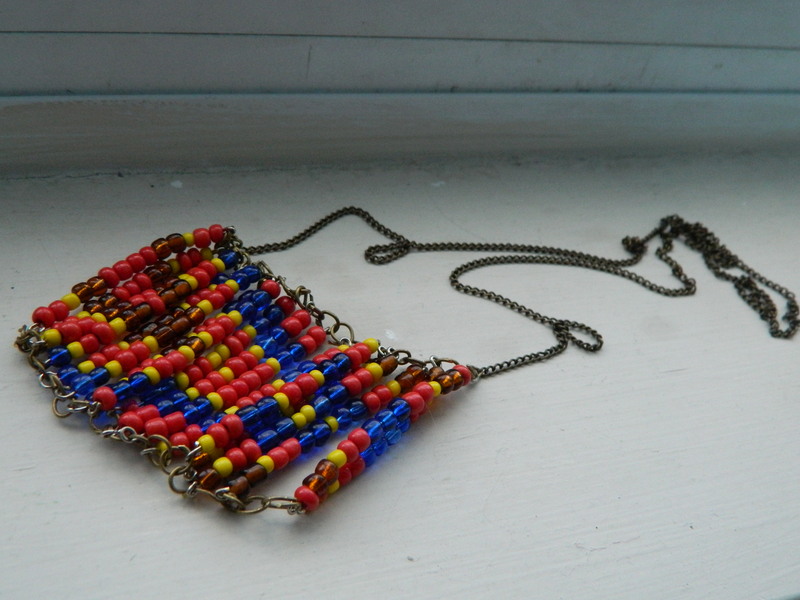 I’m thinking of making some similar pieces for my Etsy shop. What do you think? Like them enough to buy? So it’s been awhile since I’ve advertised my Etsy Shop so I have decided to have a sale! 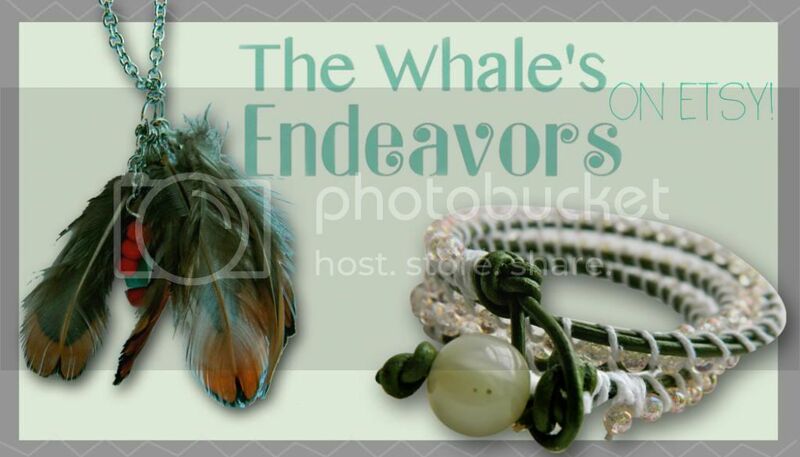 Enter code LOVEWHALE to receive 25% off all orders until the end of this week! 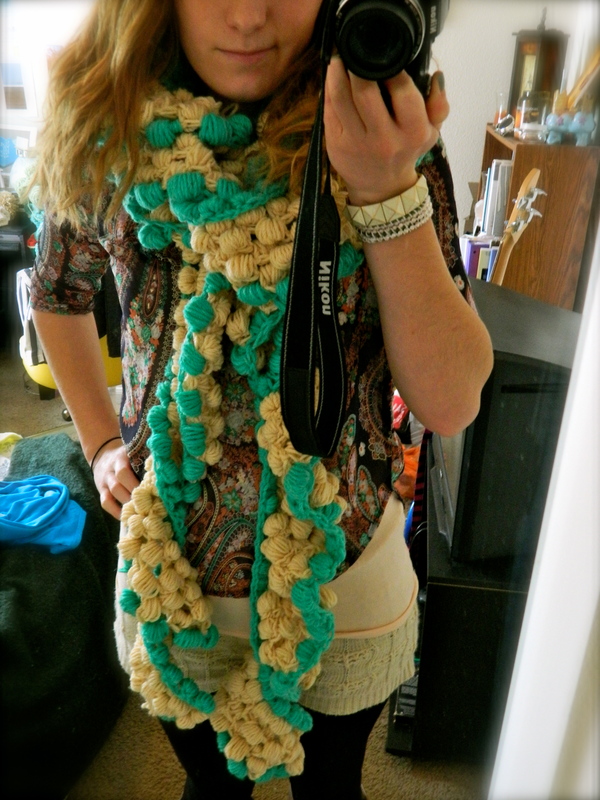 So I do believe I have made the longest scarf in the whole world… This thing is about 10′ long! 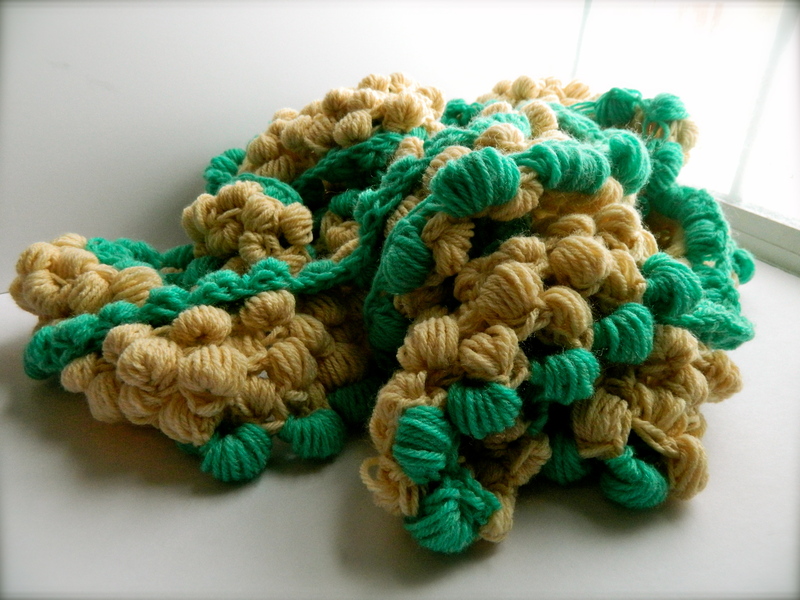 I used the crochet puff stitch which is really thick, so as a result this scarf is super warm! I can wrap it around my neck about five times, but I think it looks adorable wrapped three times with a bit hanging down. 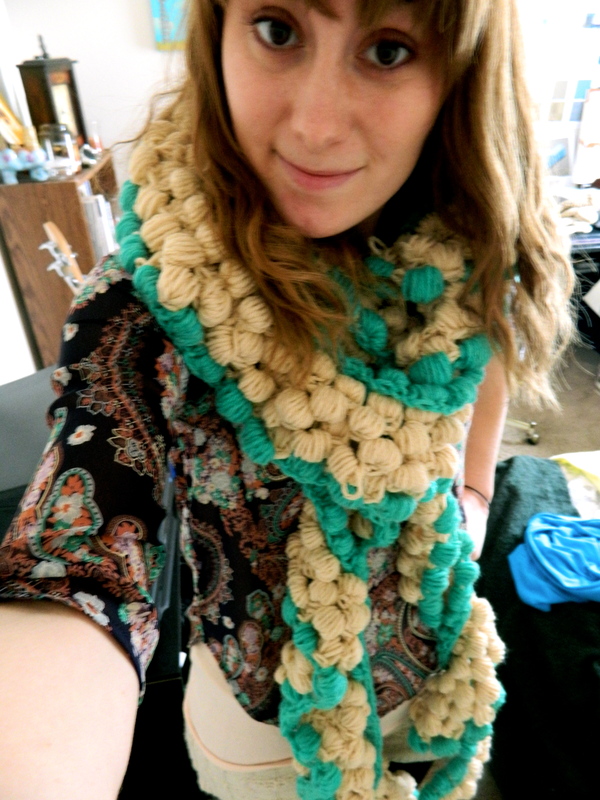 This same scarf is currently for sale in my Etsy Shop so if you like it take a look! 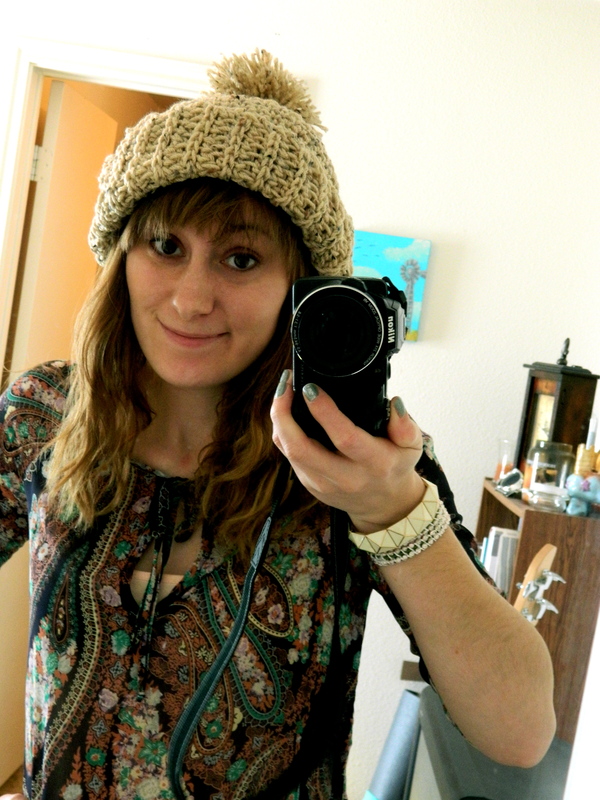 I’ve really been working on my hat making skills as of late and am pretty proud of this one! 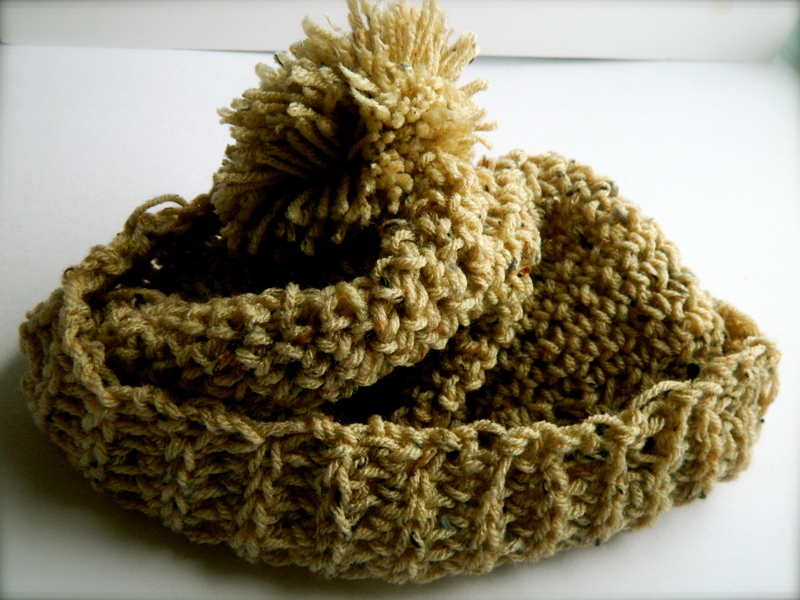 Finally I have accomplished a slouchy hat! 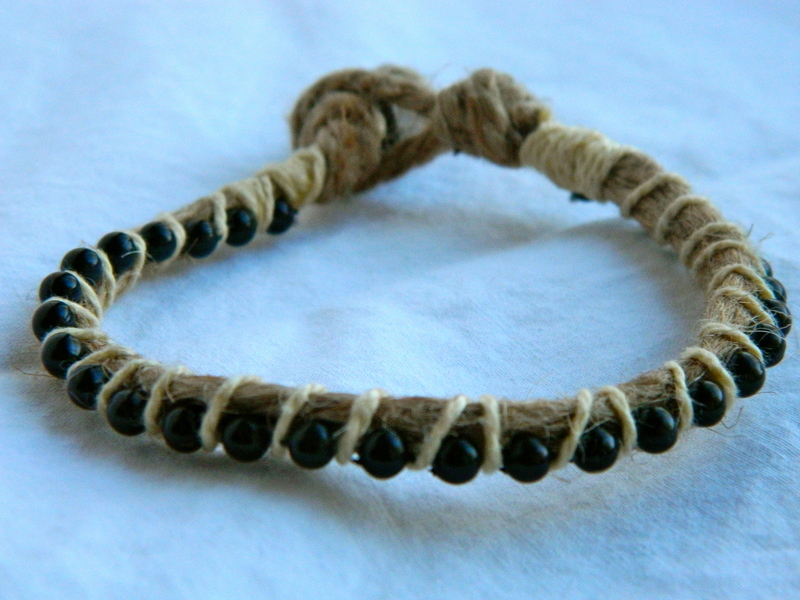 I’ve also been making a lot of wrap bracelets! 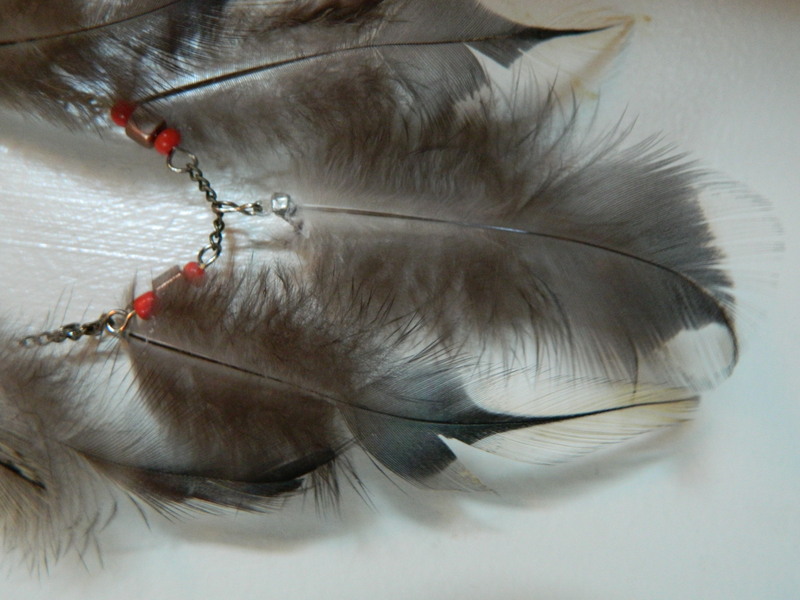 I love these, and though I make them with intentions of putting them on my Etsy Shop, I end up keeping about half of them! 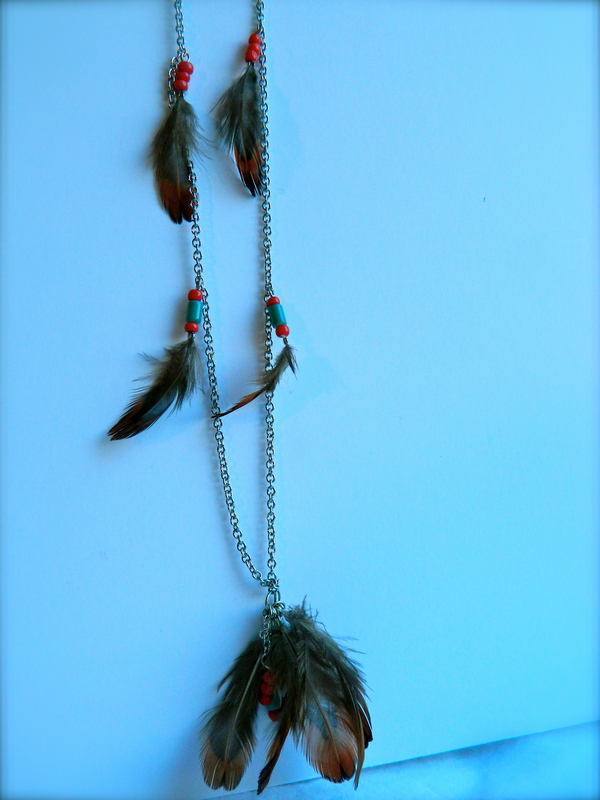 There are a few different ones in the shop though so take a look! Well that’s most of what I have been working on except of course my granny square blanket… I know I should be done with it by now, but I decided last minute to add another detail to it that is turning out to be quite tedious work… I’ll be sure to post as soon as its done! 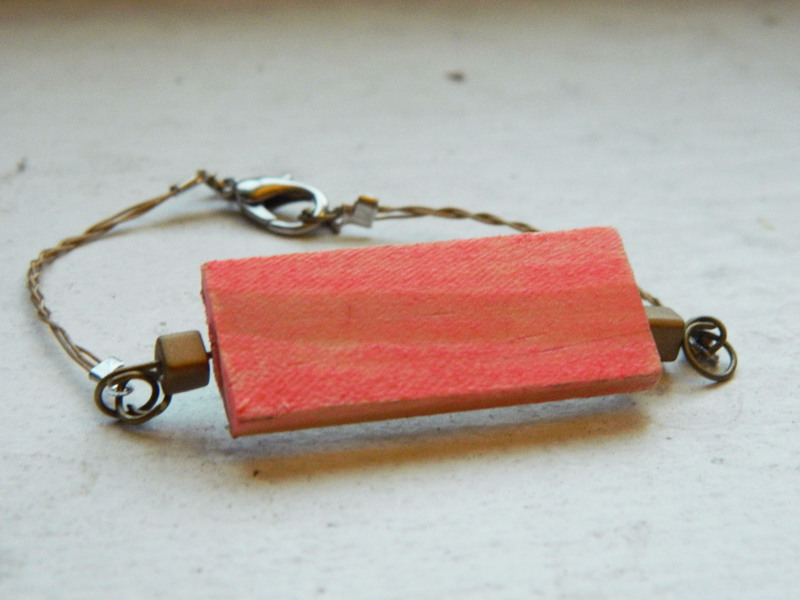 So as of late I’ve been pretty busy making jewelry for my Etsy Shop! 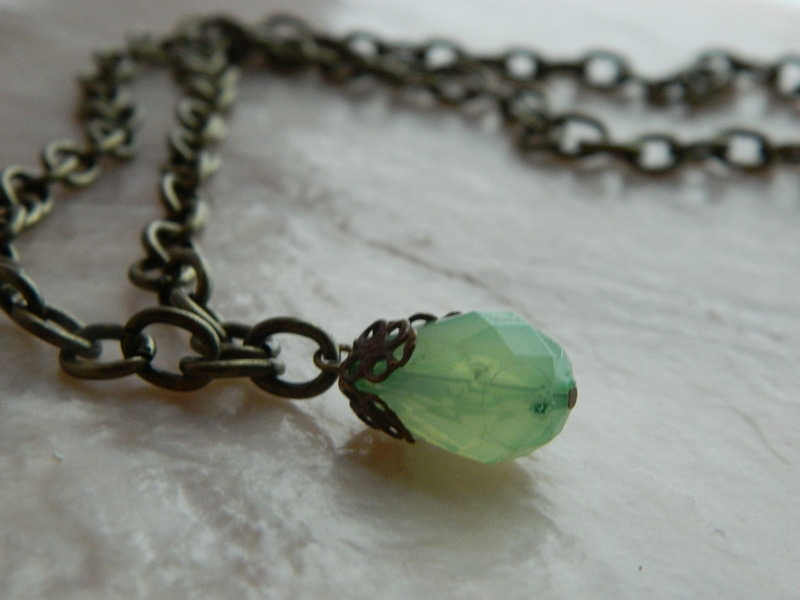 I’ve added six new items! 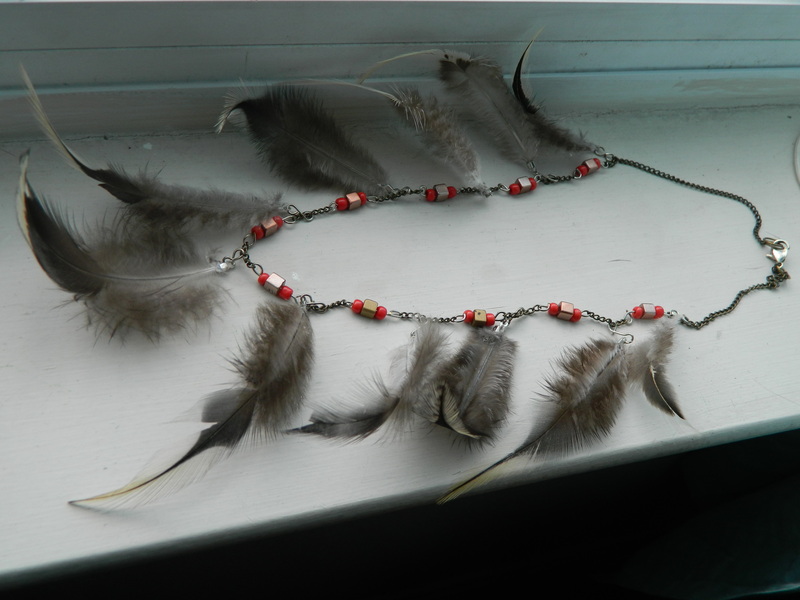 I’ve recently got my hands on a bunch of pretty feathers, so one of the items is a necklace featuring those. I loved it so much I had to make one for myself to keep, so I’m hoping you all will like it as well! 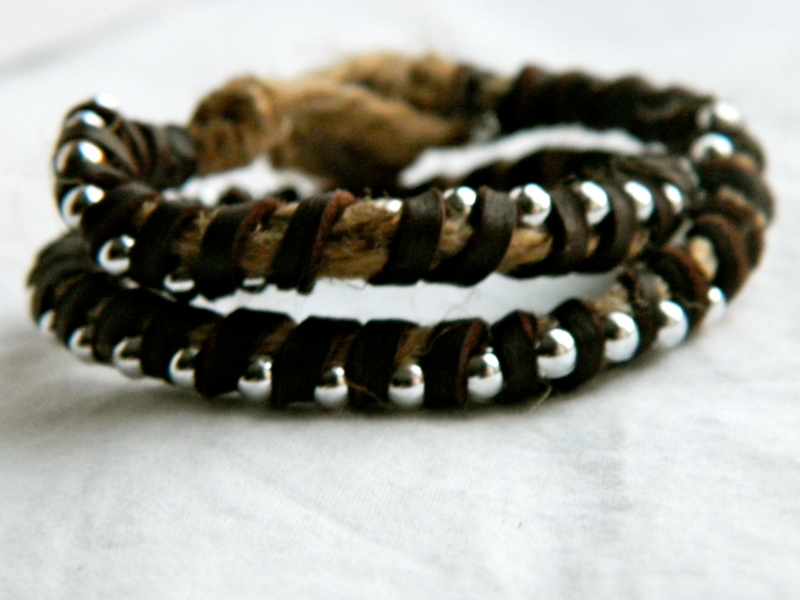 I’ve also been really busy constructing wrap bracelets since they’ve become so popular. Check them out! Ok so this isn’t a crafty or thrifty post, I’m just taking a second to inform you that I’ve decided to initiate a 25% off sale on my Etsy Shop through the month of December just for the Holidays! Just enter SANTAWHALE as the coupon code to get the discount! 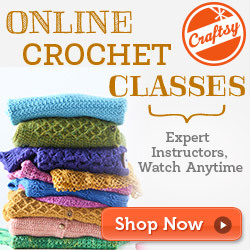 You should definitely check it out, there’s plenty of items that would make great gifts! 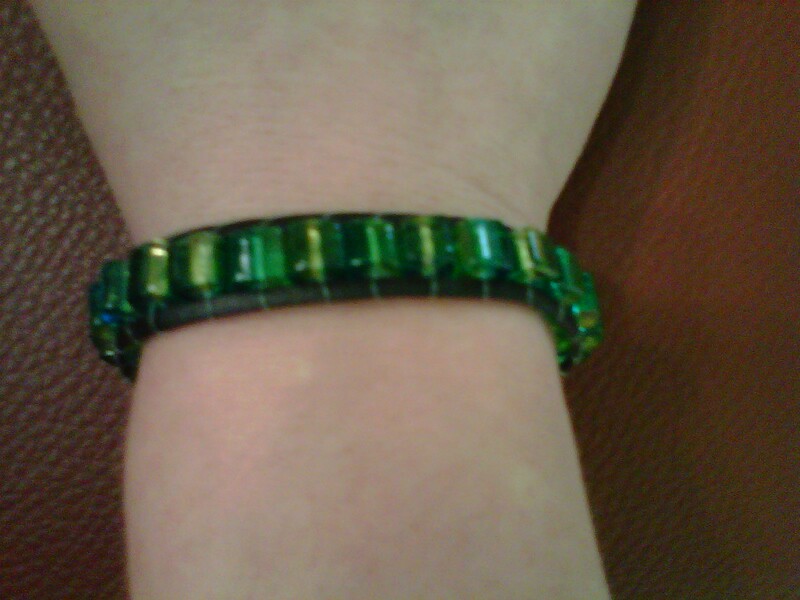 Lately I have been seeing these new pretty bracelets in stores like American Eagle and elsewhere. 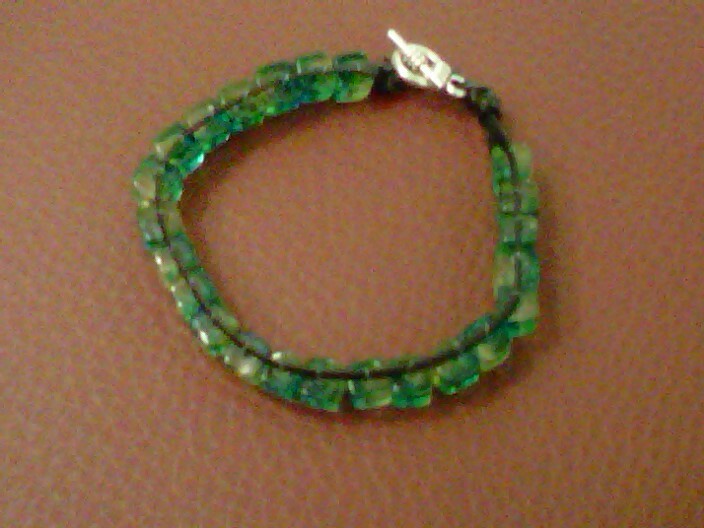 However, these bracelets in the store cost around $10, and as much as I love them, I refuse to pay that much for a simple beaded bracelet, so I studied them closely and tried to figure out how they were made, and decided to give it a try. 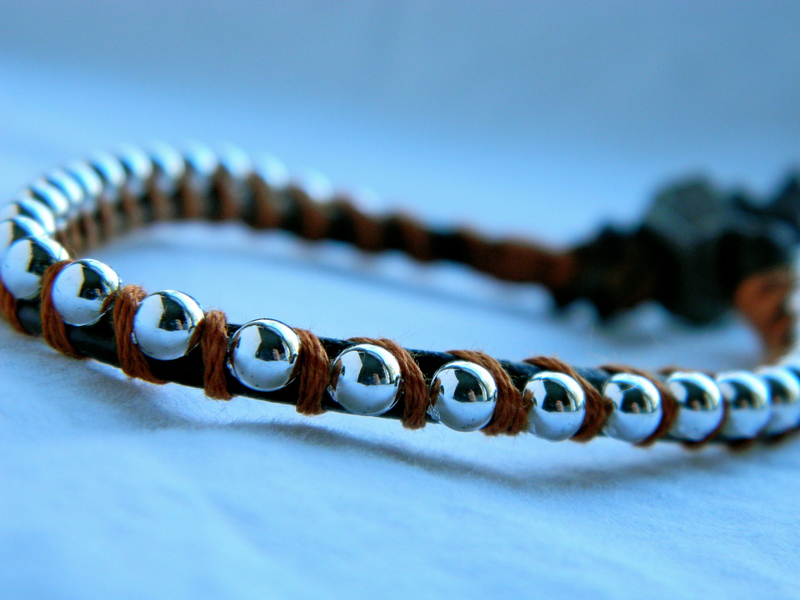 I was certain I had this all figured out, but my first three or so attempts to actually construct one of these bracelets were fails. The beads just wouldn’t stay positioned how they were supposed to. So I got fed up and gave up for the time being. 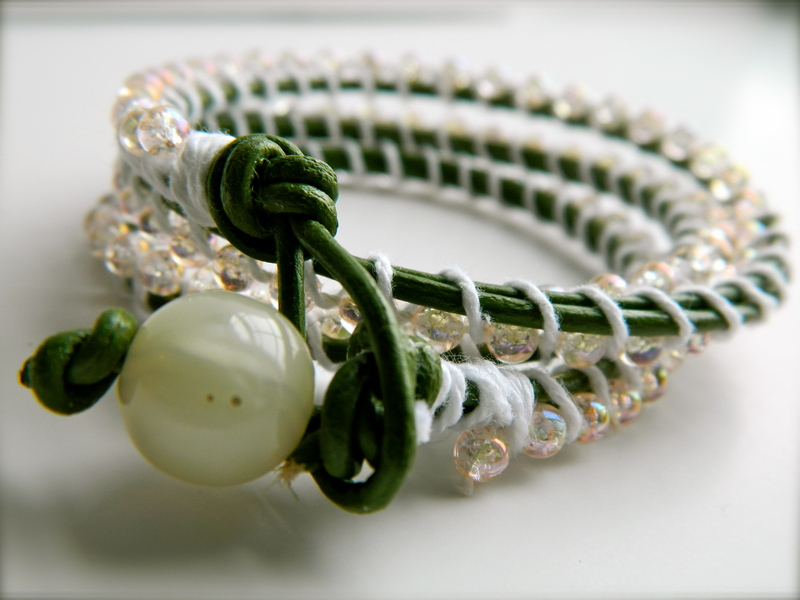 Well, a few days ago I was ‘stumbling’ and ‘stumbled’ across a tutorial [ here ] on how to really make one of these bracelets the correct way! Talk about fate. So earlier this evening I decided to give it another try, and lone and behold, it worked! So I made another. 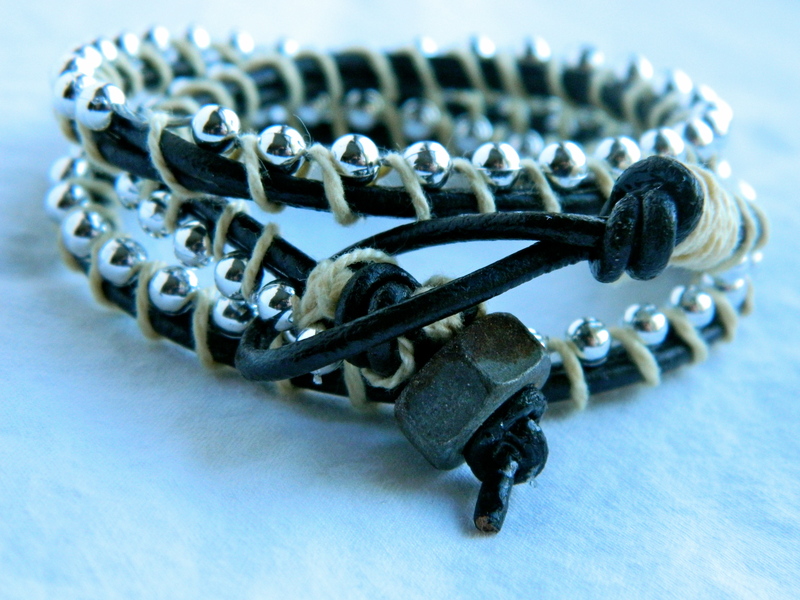 I am quite pleased with the results and I’m sure I will be making plenty more bracelets than I really need for myself… but hey, I must have one to match every outfit right?